The registrant of the new gTLD domain, Tru.Green, alleges that he lost $5,000 dollars in “out of pocket” expenses. 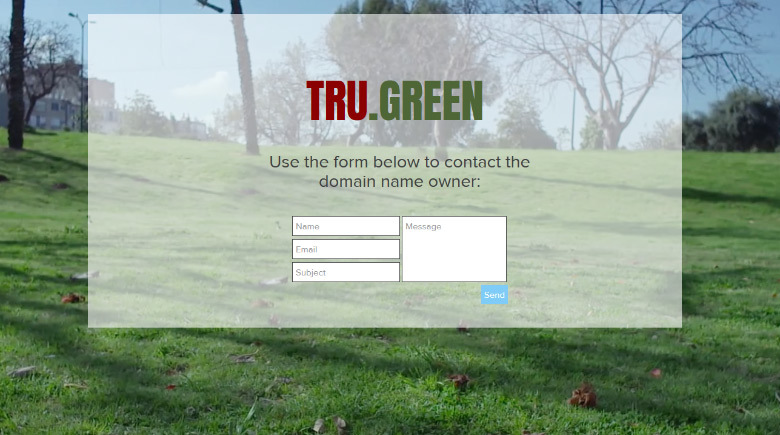 The domain was challenged at the WIPO and was lost in a UDRP, after TruGreen Limited Partnership of Memphis, Tennessee claimed rights to the TRUGREEN mark. Registered in 2017, the domain displays a contact form, superimposed over a video of trees and foliage.  The dot .Green gTLD is aimed primarily at ecological organizations, but there are no restrictions in use. End result: Tru.Green was ordered to be transferred to the Complainant. In a similar UDRP case involving a dot .Green domain, Mr.Green was also ordered to be transferred.  The Complainant is TruGreen Limited Partnership of Memphis, Tennessee, United States of America (“United States” or “U.S.”) represented by CSC Digital Brand Services AB, Sweden. The Respondent is Somsak Jinaphan of Fairfax, Virginia, United States, self-represented. The disputed domain name <tru.green> is registered with GoDaddy.com, LLC (the “Registrar”). The Complaint was filed with the WIPO Arbitration and Mediation Center (the “Center”) on November 8, 2017. On November 8, 2017, the Center transmitted by email to the Registrar a request for registrar verification in connection with the disputed domain name. On November 9, 2017, the Registrar transmitted by email to the Center its verification response confirming that the Respondent is listed as the registrant and providing the contact details. In accordance with the Rules, paragraphs 2 and 4, the Center formally notified the Respondent of the Complaint, and the proceedings commenced on November 16, 2017. In accordance with the Rules, paragraph 5, the due date for Response was December 6, 2017. The Response was filed with the Center on December 5, 2017. The Center appointed William R. Towns as the sole panelist in this matter on December 20, 2017. The Panel finds that it was properly constituted. The Panel has submitted the Statement of Acceptance and Declaration of Impartiality and Independence, as required by the Center to ensure compliance with the Rules, paragraph 7. The Complainant, founded in 1973 and headquartered in Memphis, Tennessee, provides lawn, tree and shrub care to residential and commercial customers in the United States. The Complainant owns U.S. trademark registrations for TRUGREEN and TRU-GREEN (the “TRUGREEN marks”), the second of which was registered by the United States Trademark and Patent Office (“USPTO”) on April 14, 1987(United States Registration No. 1436117). Ranked among the top landscape companies by Lawn & Landscape, the Complainant has over 200 branch locations in the U.S., maintains a website at “www.trugreen.com”, and is active on social media platforms. The Respondent registered the disputed domain name <tru.green> on May 24, 2017. The Respondent initially redirected the disputed domain name to a website indicating that the disputed domain name could be for sale. Subsequently, after being contacted by an agent acting on behalf of the Complainant, the Respondent offered to sell the disputed domain name for USD 7,500. The Respondent has registered more than 2,000 domain names, and was found to have engaged in the bad faith registration and use of seven domain names in Enterprise Holdings, Inc. v. Somsak Jinaphan / iDigitalAsset LLC, NAF Claim No. 1720769 (<rentacar.enterprises>, <rentatruck.enterprises); and Allstate Insurance Company v. Somsak Jinaphan / iDigitalAsset LLC, NAF Claim No. 1601392 (<allstate.institute>, <allstate.company>, <allstate.training>, <allstate.education>, <allstate.today>). The Respondent has registered other domain names incorporating the marks of other trademark owners, such as <buyatoyota.today>, <buyhonda.city>, and <googlenet.work>. The Complainant submits that the disputed domain name is identical or confusingly similar to the Complainant’s TRUGREEN marks. The Complainant asserts that in the circumstances of this case it is appropriate to consider the top-level domain (“TLD”) for purposes of assessing identity or similarity, relying on Canyon Bicycles GmbH v. Domains By Proxy, LLC / Rob van Eck, WIPO Case No. D2014-0206, and Zions Bancorporation v. Mohammed Akik Miah, WIPO Case No. D2014-0269. The Complainant maintains that when the second- level domain “tru” and the top-level domain “green” are viewed together, the disputed domain name “spans the dot” and is identical to the Complainant’s mark. The Complainant asserts that the Respondent has no rights or legitimate interests in the disputed domain name. According to the Complainant, the Respondent is neither sponsored by or affiliated with the Complainant, and does not have permission to use the Complainant’s trademarks in any manner. The Complainant further submits that the Respondent has not been commonly known by the disputed domain name, and that the Respondent is not using the disputed domain name in connection with a bona fide offering of goods or services, and the Respondent is not making a legitimate noncommercial or fair use of the disputed domain name. The Complainant maintains that the Respondent instead has redirected the disputed domain name to a third-party website “www.wixsite.com/trudotgreen”, advertising that the disputed domain name may be available for sale or lease. The Complainant also notes that the Respondent offered to sell the disputed domain name for USD 7.500, an amount in excess of the Respondent’s out-of-pocket expenses in registering the disputed domain name. The Complainant maintains that the Respondent registered and is using the disputed domain name in bad faith. The Complainant submits that the Respondent targeted the Complainant, and was well aware of the Complainant’s TRUGREEN and TRU-GREEN marks when registering the disputed domain name. The Complainant represents that its TRUGREEN marks are well known internationally, with trademark registrations in numerous countries. The Complainant submits that its goods and services have been sold under these trademarks since as early as 1973, and that the fame of the marks is reflected in the Complainant’s market share and through searches across Internet search engines. The Complainant maintains that the Respondent has engaged in a bad faith pattern of cybersquatting. The Respondent places reliance upon the bad faith determinations of in Enterprise Holdings, Inc. v. Somsak Jinaphan / iDigitalAsset LLC, supra and Allstate Insurance Company v. Somsak Jinaphan / iDigitalAsset LLC, supra, and the Respondent’s registrations of other domain names with well-known third-party trademarks such as <buyatoyota.today>, <buyhonda.city>, <colgate.university>, and <googlenet.work>. The Complainant further submits that the Respondent’s offer to sell the disputed domain name for valuable consideration in excess of his out-of-pocket expenses demonstrates the Respondent’s bad faith. The Respondent disputes that the disputed domain name is identical or confusingly similar to the Complainant’s TRUGREEN mark, which the Respondent contends serves only as a trade name and is merely descriptive of the Complainant’s goods or services. The Respondent also asserts that the disputed domain name is not comprised of the Complainant’s mark because “.green” is a Top-Level Domain (TLD). The Respondent submits he is making a legitimate fair use of the disputed domain name without intent for commercial gain or to misleadingly divert consumers or tarnish the Complainant’s mark. The Respondent asserts that he registered the disputed domain name for the purpose of creating a website providing detailed information about Realtors. According to the Respondent, he was in the final phase of preparations to launch his website, but suffered a financial loss due to the filing of the Complaint, and potential investors withdrew. The Respondent maintains that he has incurred out-of-pocket expenses of roughly USD 5,000. The Respondent denies registering and using the disputed domain name in bad faith. The Respondent states he was not aware of anyone holding a trademark similar in nature to the disputed domain name, and made diligent efforts to ensure there were no registered marks similar to the disputed domain name. The Respondent asserts he is merely asserting his right to free trade and commerce, and was shocked when he received notice that a UDRP complaint had been filed in respect of the disputed domain name. The Respondent denies registering the disputed domain name primarily for the purpose of selling, renting or otherwise transferring the disputed domain name to the Complainant or a competitor of the Complainant. The Respondent submits that the Complainant is mistaken in alleging that he attempted in bad faith to sell the disputed domain name to the Complainant. According to the Respondent, there is a difference between intent to sell and an offer to sell, which have different statutory meanings when construed to establish personal knowledge. According to the Respondent, he did not register the disputed domain name intending for commercial gain to attract Internet users to the Respondent’s website by creating a likelihood of confusion with the Complainant’s mark as to source, sponsorship, affiliation or endorsement of the Respondent’s website. The Respondent reiterates his contention that the Complainant’s mark is merely descriptive and as such not susceptible to any form of exclusive appropriation. The Respondent further submits that the Complainant’s conduct in seeking the transfer of the disputed domain name after realizing the potential of the disputed domain name is tantamount to reverse domain name hijacking. Paragraph 4(c) of the Policy in turn identifies three means through which a respondent may establish rights or legitimate interests in a domain name. Although the complainant bears the ultimate burden of establishing all three elements of paragraph 4(a) of the Policy, UDRP panels have recognized that this could result in the often impossible task of proving a negative, requiring information that is primarily, if not exclusively, within the knowledge of the respondent. Thus, the consensus view is that paragraph 4(c) of the Policy shifts the burden of production to the respondent to come forward with evidence of rights or legitimate interests in the domain name, once the complainant has made a prima facie showing. See, e.g., Document Technologies, Inc. v. International Electronic Communications Inc., WIPO Case No. D2000-0270. While Top-Level Domains generally are disregarded when evaluating the identity or confusing similarity of the complainant’s mark to the disputed domain name under paragraph 4(a)(i) of the Policy,3 it is well settled that where the applicable TLD and the second-level portion of the domain name in combination contain the relevant trademark, panels may consider the domain name in its entirety for purposes of assessing confusing similarity. 4 Under this assessment the disputed domain name <tru.green> is identical to the Complainant’s TRUGREEN marks. As noted above, once the complainant makes a prima facie showing under paragraph 4(a)(ii) of the Policy, paragraph 4(c) shifts the burden of production to the respondent to come forward with evidence of rights or legitimate interests in a domain name. The Panel is persuaded from the record of this case that a prima facie showing under paragraph 4(a)(ii) of the Policy has been made. It is undisputed that the Respondent has not been authorized to use the Complainant’s TRUGREEN marks. Regardless, the Respondent registered the disputed domain name, which is identical to the Complainant’s TRUGREEN marks, has redirected the disputed domain name to a website on which the disputed domain name is advertised for sale, and when contracted by the Complainant’s representative, offered to sell the disputed domain name for USD 7,500. The Panel concludes that the Respondent has failed to come forward with evidence of rights or legitimate interests in the disputed domain name within the meaning of paragraph 4(c) of the Policy. It is undisputed that the Respondent has not been authorized to use the Complainant’s TRUGREEN marks, and there is no evidence that the Respondent has been commonly known by the disputed domain name. The Respondent claims to have registered the disputed domain name to develop a website providing information about Realtors. Yet, while the Respondent claims to have spent more the USD 5,000 in preparations to launch this website, the Respondent has produced no evidence of any actual use or demonstrable preparations to use the disputed domain name in connection with a bona fide offering of goods or services within the meaning of paragraph 4(c)(i) of the Policy. Nor is there any evidence that the Respondent is making a legitimate noncommercial or other fair use of the disputed domain name within the contemplation of paragraph 4(c)(iii) of the Policy. For the reasons discussed under this and the preceding heading, the Panel considers that the Respondent’s conduct in this case constitutes bad faith registration and use of the disputed domain name within the meaning of paragraph 4(a)(iii) of the Policy. The Panel considers the Respondent’s explanation of his reasons for registering the disputed domain name to be pretextual. The Respondent in all probability was aware of the Complainant’s TRUGREEN marks when registering the disputed domain name. The record is persuasive that the Respondent targeted the Complainant. Having regard for the foregoing, the Panel concludes that the Respondent’s primary motive in relation to the registration and use of the disputed domain name was to capitalize on, or otherwise take advantage of, the Complainant’s trademark rights. Accordingly, the Panel finds the Complainant has satisfied the requirements of paragraph 4(a)(iii) of the Policy. In view of the above finding, the Panel finds also that there is no reverse domain name hijacking. For the foregoing reasons, in accordance with paragraphs 4(i) of the Policy and 15 of the Rules, the Panel orders that the disputed domain name <tru.green> be transferred to the Complainant. 1 See WIPO Overview of WIPO Panel Views on Selected UDRP Questions, Third Edition (“WIPO Overview 3.0”) section 1.7. 2 See WIPO Overview 3.0 section 1.8 and cases cited therein. When the relevant trademark is recognizable in the disputed domain name, the addition of other terms (whether descriptive, geographical, pejorative, meaningless, or otherwise) does not preclude a finding of confusing similarity under paragraph 4(a)(i) of the Policy. 3 The meaning of a particular TLD may in some cases be relevant to assessments under paragraphs 4(a)(ii) and 4(a)(iii) of the Policy. See WIPO Overview 3.0, section 1.11 and cases cited therein. See also WIPO Overview 3.0 section 1.8. 4 See WIPO Overview 3.0, section 1.13 and cases cited therein.